I’ve set up a few MRTG config files and some simple shell scripts to graph the available data from my Compaq UPS via Nut. This will give a basic way to monitor the combined power consumption of everything that’s connected to the UPS. Currently this is everything in the rack plus the computer under my desk (and the peripherals on top). If you like graphs, you can see them on this site. In addition to this method, I also have a plug-in power meter that can be used on individual items. It’s currently plugged into the incoming side of the UPS. 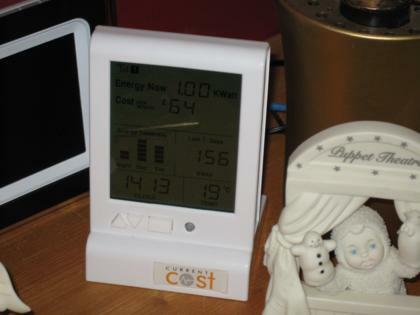 For whole house power monitoring, the Wattson looks pretty good, but it’s not exactly cheap.